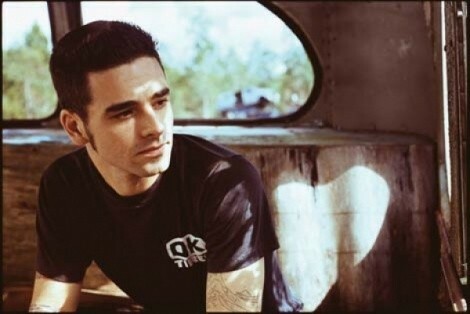 Don’t Call Him Emo: Chris Carrabba is just "a guy with a guitar." If you expect Chris Carrabba to apologize for the deluge of so-called “emo” acts that followed his sensitive singer/songwriter path, forget about it. Looking back on 10 years of Dashboard Confessional, a project he started as an outlet for songs that didn’t quite fit with his hard-rocking former band Further Seems Forever, Carrabba doesn’t think about the unlikely radio and MTV hits, the growth into an arena-sized rock band or the deluge of tattooed boys who suddenly eschewed their electric guitars in favor of going acoustic. Rather, he remembers the adventure he started as a solo man on the road, playing in front of the hard-core audiences of his friends’ bands. None quite “made it” as far as Carrabba, though. His solo trips early on in Dashboard Confessional’s career evolved into packed clubs of teenagers singing along with every lyric of the songs on albums like The Swiss Army Romance and The Places You Have Come to Fear the Most. Soon enough, Carrabba was virtually a sideman to his own concerts, with the audiences in firm control of the shows. That led to Carrabba’s turning Dashboard Confessional into a more traditional, electric rock band that’s had a nice decade-long run that’s included headlining arena tours of their own, and opening stints for—of all bands—Bon Jovi in some stadiums in 2010. Still, despite the popular growth of the band, Carrabba doesn’t sound nearly as excited about the arena-rock life as he does about his current, back-to-basics solo tour celebrating the 10th anniversary of The Swiss Army Romance’s release. “I’ve made no secret that I don’t like the whole pomp and circumstance of rock & roll,” Carrabba says. “I like a good rock star, but I’m not a good rock star. I’m just a guy with a guitar. When it comes down to it, I want to be in a room with people who are listening. Tuesday, Jan. 11, 7 p.m.